Well another busy week for stitching!! I have completed a couple new Anime Dolls. 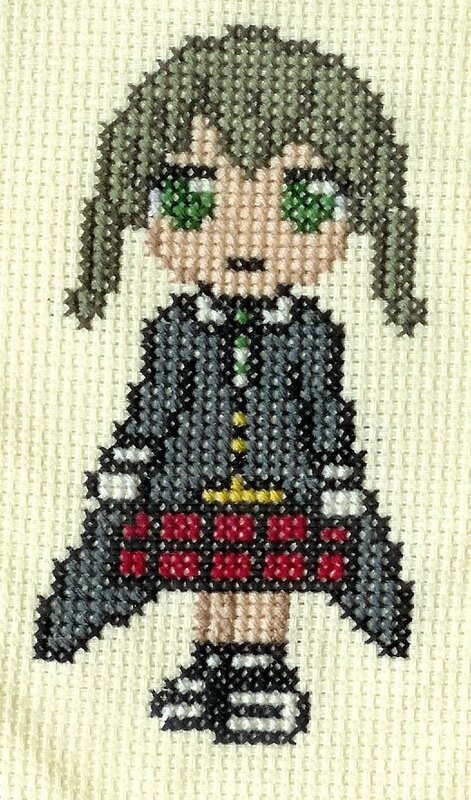 Here are Haruka and Maka. Here is the first page of my Elf Girl. 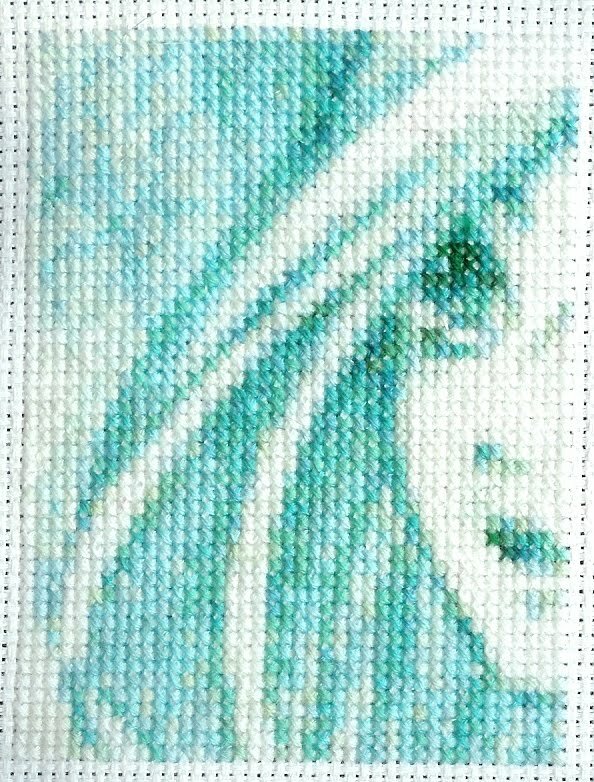 It has slowed down a bit again because I'm trying to get a big white area stitched. It's so boring!! Cathy over at Stitchin Chicken has completed some more Digimon characters. She almost has them all completed now!! :) Thanks!! 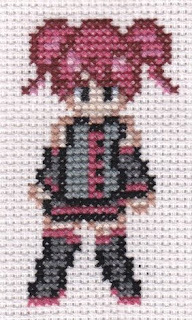 Missy tannenbaum has kindly stitched another one of Vocaloids. 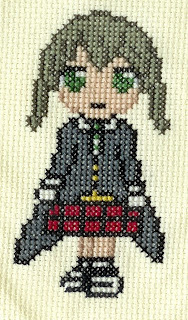 She turned out rather cute too!! Well I think that is it for today!! I don't think I missed anyone??? I really should thes updates more often!! I'm not taking anymore requests for patterns until the new year sometime. I'm just too busy with things here!! Here is a freeware Cross stitch program KG CHART MAKER. It is a pretty easy program to use - so I have heard anyways!! And your Elf Girl looks absolutely lovely! I like the expression on her face.